Picture - At the bottom of the Home Menu in any site you're logged into. Name - On blog posts you've written, both on your own site and sites where you have contributor permissions. All information - In author profiles in some templates. Only contributors can edit their own profiles. Administrators can edit or remove permissions for their site's contributors, but can't edit their profile information. Only Administrators can edit Basic Author profiles. If you update your email address, you'll use the new address to log into your account. Changing the name in your profile will also change the name as it appears in all blog posts published under your name. 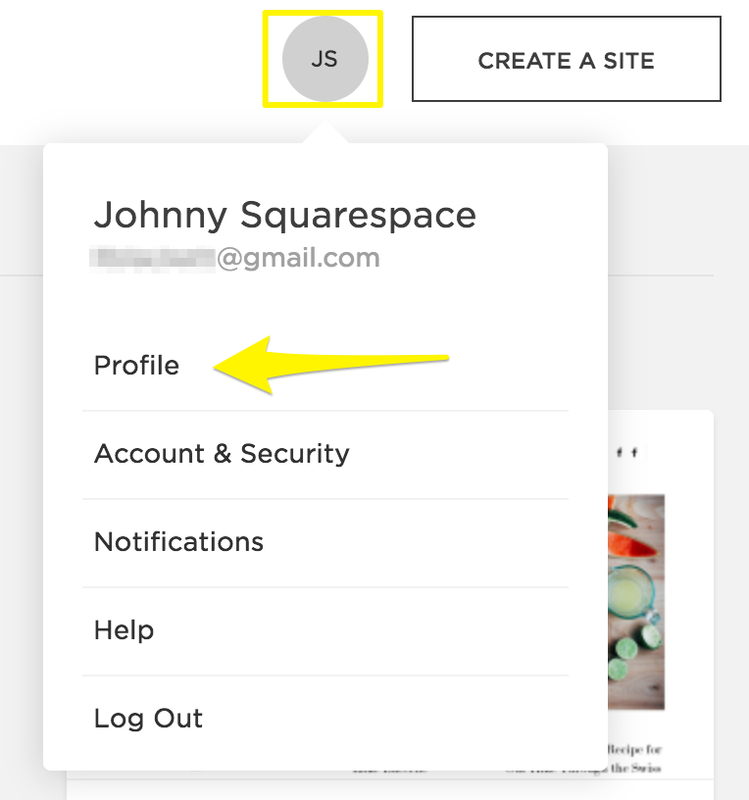 Go to https://account.squarespace.com/settings/profile to open your Profile settings. You may be prompted to log into your account. 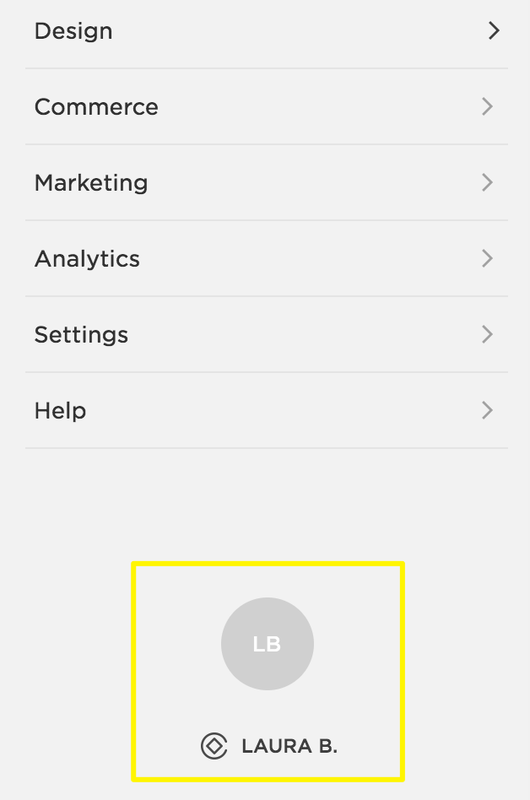 In the Account Dashboard, hover over your profile picture or initials in the top-right corner, then select Profile. Edit your name. Since some areas use the First and Last name in preference to the Display name, we recommend using the same name in both sections. Upload a profile picture. Profile pictures must be in .jpg, .gif, or .png format only. Add a bio and website URL, which may appear in author profiles. Note: Changes to your profile may take a few minutes to appear on your site.